Location Fremington Edge. Escarpment slope above West Hagg Farm. Geology Ancient landslip. 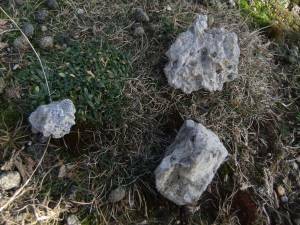 Active springs on shales above the Underset Limestone. Record Name Fremington Edge above West Hagg Farm. 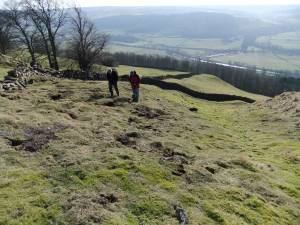 Lead Bale Site No 3 in landslip area below Fremington Edge. Record Description See also SWAAG Site Record Nos 640 (Site 1, the Main Site at this locality below Fremington Edge) and 683 (Site 2, a smaller site on the edge of the Underset Limestone).This Bale Site, Site 3, is approximately 200m south of Site 1 and is a large area of disturbed landslipped ground on a steep slope below active springs. The partly vegetated ground here shows quantities of lead slag but no charcoal and may represent discard debris from a bale closer to the springs above the dry stone wall which crosses the site. This site was located during a revisit to Site 1 by Richard Smith of Northern Mines Research, Alan Mills and Tim Laurie. 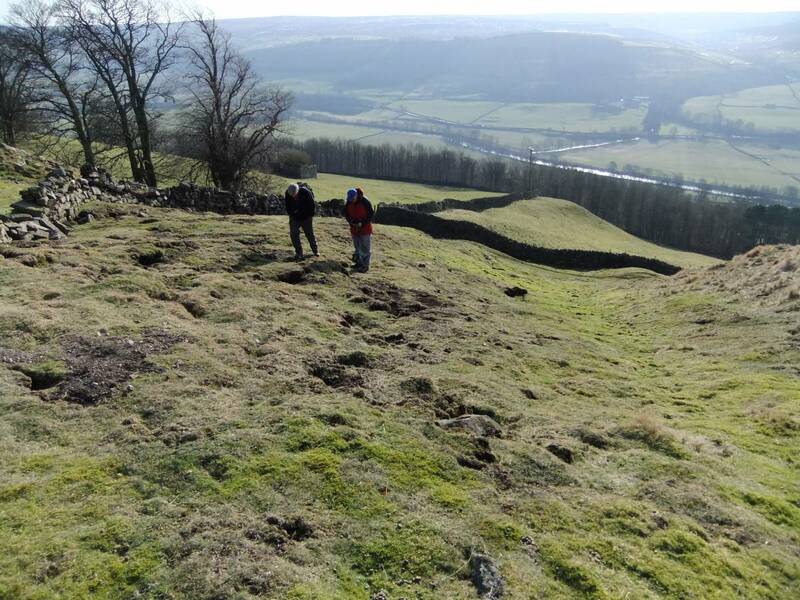 Site 3, like Site 1 is within the area of the ancient landslip and is above the top edge of the Underset Limestone. 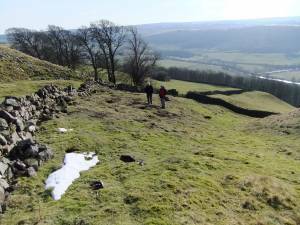 Site 3 is the third of three bale lead smelting sites on the rocky slopes above the walled pastures of West Hagg Farm. This site is located at around 310m O.D. 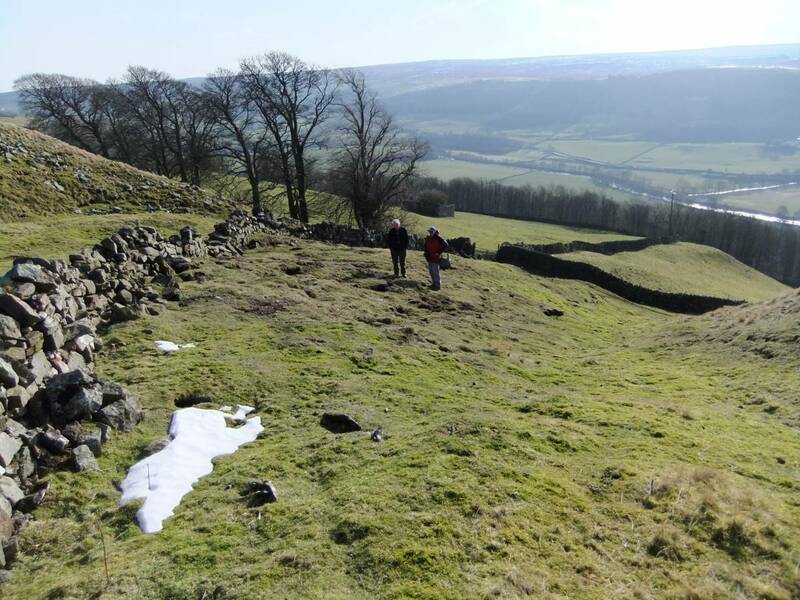 elevation which is approximately 90m below the top of the Main Limestone where the well known lead bales on the eastern extremity of Fremington Edge are located. These upper sites are shown on a map dated 1592(Tyson, L.O. 1989. 'A History of the Manor and Lead Mines of Marrick, Swaledale, Figure 3'). These lower sites are NOT shown on this map which indicates tha these lower sites are of a very different age and episode of mining activity, probably earlier. The lower bales are all well vegetated and the slags have not been collected for re-smelting, unlike the upper sites where most slag has been removed. 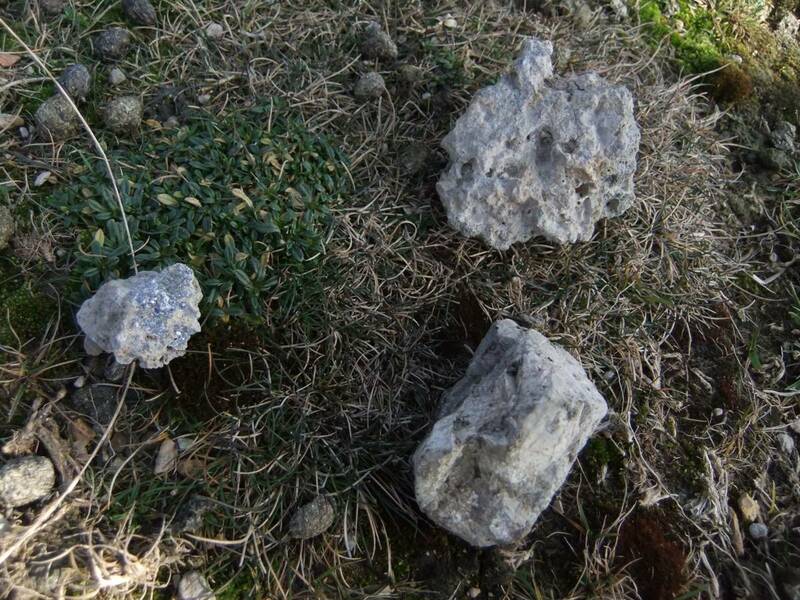 Additional Notes Much lead slag evident including lead glazing on sandstone, see photos, and lead silicate traces on stones built into an adjacent field wall. Image 1 Description Fremington Edge. Bale Site 3 above West Hagg Farm, with Richard Smith and Alan Mills. Image 2 Description Fremington Edge. Bale Site 3 above West Hagg Farm, with Richard Smith and Alan Mills. Image 3 Description Fremington Edge. Bale Site 3 above West Hagg Farm, lead slag and part burnt galena lead ore.